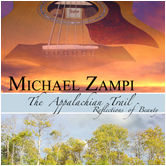 The Appalachian Trail album by composer and musician Michael Zampi provides an uninterrupted hour of original, acoustic instrumental guitar music, inspired by the natural beauty of our Appalachian Trail. 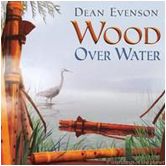 Michael also adds some environmental sounds to the music mix including rolling thunder, waterfalls, birds, eagles, crickets, wind, and owls - music therapy for the nature deprived! 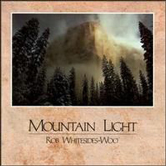 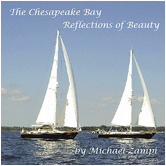 One of three music albums in Zampi's Reflections of Beauty Series. 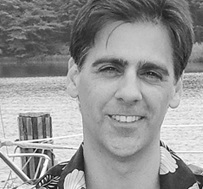 Dedicated to Benton MacKaye for his vision of The Appalachian Trail, The Appalachian Trail Conservancy, and all the employees and guardians at The National Park Service. 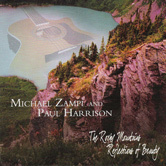 Inspired by the natural beauty of our National Parks, the REFLECTIONS OF BEAUTY Series includes three massage music albums - The Appalachian Trail, The Rocky Mountains and The Chesapeake Bay. 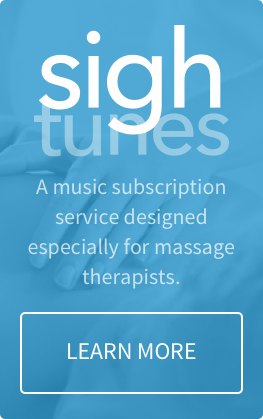 Zampi weaves a tapestry of new age, classical, jazz, and folk music styles - and his flowing music is ideal for holistic healing, massage, sleeping, yoga, meditation, relaxation, and the healing arts as well as for reflection, and creativity.